If any of your gas appliances break down, you want to get them back up and operational as soon as possible. You also want the repairs to be done safely by qualified professionals, who cover the Lincoln area. 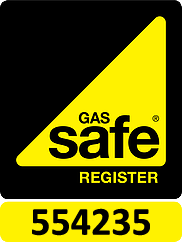 We cover the wider Lincoln area and can see to your problem quickly and professionally, and safety is guaranteed as we are fully GAS SAFE Registered. Work quotations are made upfront and clear with no hidden charges. We try our best to carry as many parts as possible with us. This improved the chances that we can fix most issues there and then. We will order the part for you if we do not have it in stock. Once we have the parts required, we will return to finish the work as soon as possible. We understand that being without any central heating or hot water is a massive impediment on your daily life. This is why we prioritise central heating and hot water issues to get you back up and running as soon as possible. The best possible service is provided and we can fix any issue we are faced with. This is thanks to our vast array of heating repair knowledge gained over many years of experience. In most cases, we can diagnose issues over the phone and provide a quote there and then. If we need to visit you to diagnose the issue, we will provide you with a quote once the issue has been identified. ✔ Are fixed price. What we say is what you pay. ✔ Include all the parts and labour. ✔ Include a year-long guarantee on our work so you have peace of mind.